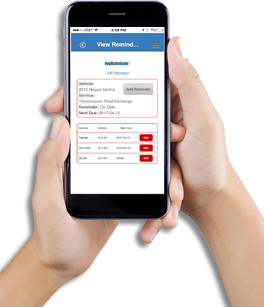 The Electronic Glove BoxÂ® is your automated One-Stop Shop for all family Vehicle Info & Records in the palm of your hand and or on your desktop.....and it's automatically updated by participating ARA Members after each service! Endless Vacation Rentals provides thousands of exclusive vacation options at already special discounted pricing PLUS VIP Members receive an additional 25% discount at participating locations. Whether you want a condo, villa, cottage or home, city, beach or mountain-top get away, we have just the right property in any corner of the world unprecedented pricing for an unforgettable experience! The day I signed up for myEZ Car Care I was immediately sent a notification that there was a recall on my vehcle. Because of that recall notice, I was able to avoid spending a lot of money on fixing a problem that could be fixed free of charge at the dealership. Within the first day of signing up myEZ Car Care more than paid for itself. My husband and I use our myEZ Car Care membership all the time - the myEZ Car Care discounts are even better than AAA discounts. I don't know how you do it, but we love it. I needed work done on my car immediately so I bought a membership from you yesterday. You sent an electronic version of the membership card to me overnight. I called the store on Saturday to inform them I had the MyEZCarCare Member Card and I got my discount when I went to pay. I'm very happy. Thank you very much for your efforts, I'll definitely recommend to my friends and family to get this card. 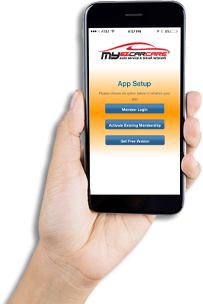 I just wanted to let you know how pleased I am with the convenience and savings I have received from using myEZ Car Care to book rental cars. I find it is convenient to connect directly to the 4 web sites from your site, shop for the best deal on the type of car I am looking for, and directly make my reservations online. Thanks! 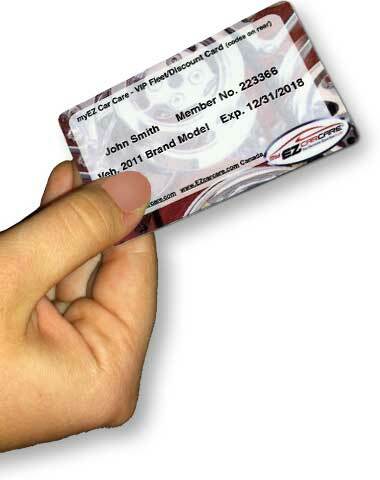 Save every day on all your auto maintenance & repairs just by showing your VIP Card. Get the discounts the "Big Boys" get and never have to clip a coupon or wait for a sale.